The battle is bigger in IMAX! Take your first look at exclusive IMAX poster of “Batman v Superman: Dawn of Justice” which has just been unveiled by Warner Bros. 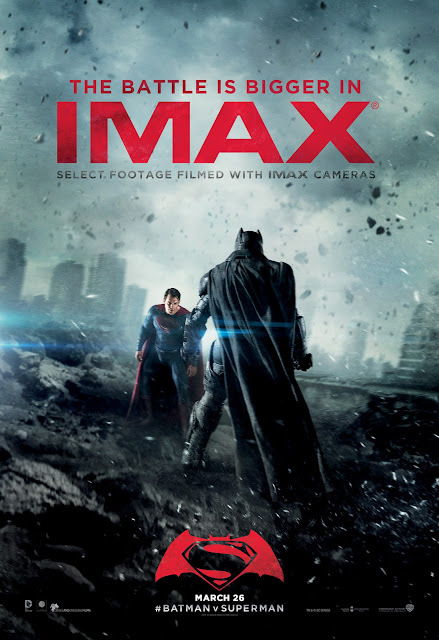 The one-sheet also nicely reminds viewers that “select footage” were filmed using IMAX cameras.